The following is a statement issued by the creative team behind the cancelled production Homegrown. We were deeply shocked to find out in an email from the Artistic Director of NYT, Mr Paul Roseby, that the company had decided to cancel the production of Homegrown 10 days before the first preview. We have since been left disappointed and baffled that every subsequent attempt to meet with the NYT – including a meeting planned for Tuesday 11 August – has been either postponed or cancelled. 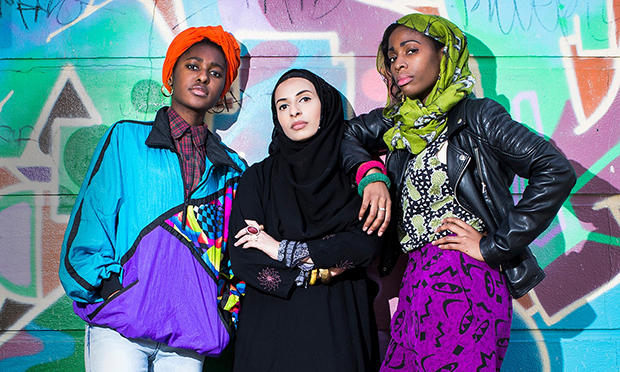 Homegrown was intended to be a site-specific theatrical exploration of radicalisation, the stories and communities behind the headlines and the perceptions and realities of Islam and Muslim communities in Britain today. The creative team and our cast of 112 young people were two weeks into rehearsals, the culmination of a six-month process, when the production was cancelled. There was no warning and no consultation. We feel that the reasons for this production being shut down have not been transparent, openly addressed nor fully addressed. We feel it is imperative, considering the current political climate, to open up and bring awareness to some of the broader issues and the socio-political landscape of radicalisation, homegrown extremism, and even the simple conversation about Islam. We are making art in a particular climate: the climate of PREVENT and CHANNEL – programmes which are creating an environment in which certain forms of questioning, let alone subversion, of the given narrative pertaining to radicalisation or extremism can be closed down. It felt like battle lines were being drawn when, on the first day of rehearsals of a show that was to be denied its voice, David Cameron gave his strongest statement drawing links between non-violent extremism and jihadism. As artists we find it unseemly that we are having to defend our work in this manner but, also as artists, we would defend the irreducible right of all artists to make art. We are keen to turn this into a positive galvanising moment and start a dialogue around these long-standing questions, and are reaching out to artists, institutions and individuals across a spectrum of industries to support us in opening up the conversation we had hoped to initiate with Homegrown.